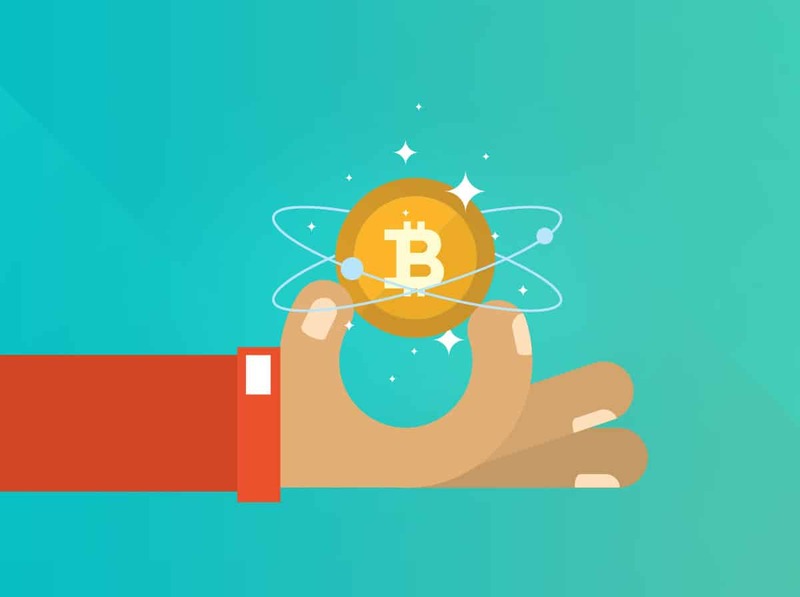 There are many different techniques to acquiring bitcoins, and in this guide, we will show you the most popular methods of getting yourself some units of the world’s most popular cryptocurrency. Buying bitcoins is a very simple and straightforward process. You can simply go to a bitcoin exchange website such as Coinbase or Kraken, and exchange your US Dollars, British Pounds, Euros, Canadian Dollars, and other supported currencies (this will depend on the platform) into some bitcoins. Of course, with the ever-increasing value of bitcoin, this is easier said than done. Right now, you can expect to shell out more than $10,000 for a single bitcoin! The good news is that you don’t have to buy a whole bitcoin. Each bitcoin can be divided into 100 million units called Satoshis (named after Bitcoin founder, Satoshi Nakamoto). This means you can buy a few thousand Satoshis for a few dollars. While this won’t make you rich, you can at least get a feel for how bitcoins and cryptocurrency works. There are plenty of platforms where you can buy and sell cryptocurrency. The most popular ones that have been around a few years are Coinbase, Kraken, Gemini, Coinmama, and CEX.io. You’ll have to do some research, however, if your state or country is supported and what currencies and payment methods they accept as each platform would have their own rules and regulations. The transaction fees involved will also vary in each platform so you’ll definitely have to look around to find the best cryptocurrency exchange that would suit your bitcoin needs. If you want to avoid bitcoin exchange platforms and pay directly in cash (or another payment method that’s popular in your local area), use cash exchanges like LocalBitcoin or Wall of Coins. These platforms allow you to trade directly with another person. There are no expensive transaction fees involved. However, they may charge a fee for successful trades. We would suggest that you look for a platform that offers an escrow service to make sure the seller doesn’t run away with your hard-earned cash! If you’ve got a digital wallet full of other cryptocurrencies, you can easily trade these for bitcoins. You can go to sites like ShapeShift.io which allows you to quickly trade your non-bitcoin cryptocurrency to bitcoins. You don’t even need an account to make a trade. Simply enter the amount you wish to convert or trade, your bitcoin address, and your cryptocurrency refund address. That’s it! You’ll have your new bitcoins in a few minutes. Getting paid with bitcoins is not a complicated process at all. You simply need to have your own bitcoin wallet so you can start receiving payments. For starters, you can create a free online wallet on Blockchain.info or Coinbase. All you need is a valid email address to sign up and begin receiving payments! Once your wallet is set up, you can either generate a QR code or use the long alphanumeric address and send it to the person you wish to receive bitcoins from. There are many different types of work you can do to get paid in bitcoin. It doesn’t matter if you work online or offline as making and receiving bitcoin payments is so simple you don’t really need technical know-how to do it. Solopreneurs find this payment method so much more convenient as they don’t need to wait 24-48 hours (or more for international workers) to receive bank transfers from their clients. They can receive their payment, salary, or wages in just a few minutes. It’s a big relief to workers knowing they don’t need to wait in limbo, unsure if they’re going to get paid for their hard work or not. Employers or clients also like the idea of not paying those exorbitant bank fees for doing transfers especially to workers or freelancers overseas. With bitcoin payments, they get to save plenty of money just in bank fees alone! Whether you are an online shop or a brick-and-mortar store, you can choose to receive payments in bitcoin. With a growing community of bitcoin users, you’re bound to get new and repeat customers who will do business with you simply because you’re forward-thinking enough to accept bitcoin payments. The added benefit to customers is they can easily send you payments straight from their bitcoin wallets while you receive their payments almost instantly. It’s really a win-win situation for both you and your customers! For online shops, you can use plugins or scripts to start accepting bitcoin payments on your site. If you’re unsure of how you can do this, it’s best to hire a developer to make sure it’s set up right (you don’t want those bitcoin payments going somewhere else!). When your customers go to your checkout page, they’ll see the bitcoin option and select that if they want to pay using bitcoins. For local shops like hotels, restaurants, bars, cafes, flower shops, groceries, etc., if you want to receive bitcoin payments in person, all you have to do is just print your wallet’s QR code and pin it near your cash register. When your customers are ready to pay, simply direct them to the QR code, have them scan it on their mobile phones, enter the amount they need to pay, hit Send, and wait for your bitcoins to arrive. Oh, and don’t forget to add a giant ‘Bitcoin Accepted Here’ sign at the entrance to invite the bitcoin community to come inside! To attract even more bitcoin users, add your business to Coinmap and other similar sites where the bitcoin community hangs out and searches for places where they can spend their bitcoins! You don’t need to be in the service industry to receive tips. If you have a blog, you can set up a bitcoin payment gateway where your loyal fans and readers can tip you if they so desire. Don’t underestimate the generosity of your audience especially if you produce content that provides a lot of value to them. Try it out – you just might be surprised to see some bitcoins on your wallet after a few days! There are now plenty of sites on the Internet that offer free bitcoins (usually just a very, very small fraction of it) for every task you complete. Some websites require you to complete surveys, watch videos, click on ads, answer questions, sign up for trial offers, download mobile apps, play online games, refer friends, shop online, and more. Payment is usually quick and easy. Some platforms just require your bitcoin wallet address while others require you to sign up and create an account. While it’s true these jobs are mostly small and can be done in a few minutes, earning only a few hundred or thousand Satoshis at a time may not be worth it especially if you value your time. But if you’ve got nothing better to do and you want to experience firsthand the joys of owning cryptocurrency, then you’ve got plenty of microtasking sites to choose from. Bitcoin faucets are just websites that give away free Satoshis at set time intervals. These sites bring in a huge amount of traffic from people wanting to get free bitcoins so expect lots of competition and, depending on where the faucet is hosted, slow loading times. Some faucets give away Satoshis with no work involved, that is, you just need to have the site up on your browser, while some require you to solve little tasks before you earn your Satoshis (much like the micro-tasking websites we’ve discussed in the previous section). Sites like these are a major time drain as well so it’s really up to you if you can afford to exchange your precious time for a few Satoshis. Bitcoin miners play an extremely important role in the Bitcoin network. Without miners, there would be no new bitcoins, and no transactions would be confirmed. Bitcoin miners are so important to the Bitcoin ecosystem that they are justly rewarded with bitcoins for their hard work. However, bitcoin mining is not as profitable as it seems. And now, at this particular point in time, the block reward is down to 12.5 bitcoins. If you consider the price for one bitcoin right now (well over $10,000), this is still is a very attractive reward indeed. And experts predict the price will continue to go up as the number of bitcoins in existence slowly go up, too, and the demand for more bitcoins continue to increase. Mining bitcoins is not an easy job, much like any other physical mining job in the real world. Bitcoin miners may not get dirty from soot and mud, but their powerful computers do. The difficulty in mining new blocks has gone up so much that individual miners are finding it extremely difficult to solve complex cryptographic functions on their own. Many different miners or mining groups compete to discover a new block and the mining difficulty are at extremely high levels now. Mining bitcoins doesn’t come cheap. You can’t just use any computer as solving cryptographic functions will take so much of your computer’s processing power. Not even a high-end laptop or desktop computer can do the job anymore – it’s really that difficult to mine new bitcoin blocks today! Even if you join mining pools, you’ll need to invest a lot of money to buy the right hardware. In the beginning, a powerful CPU (Computer Processing Unit) and GPU (Graphical Processing Unit) were sufficient to mine new blocks. However, as the difficulty of mining bitcoins have gone up, more processing power was needed. Today, an ASIC (Application Specific Integrated Circuit) chip is seen as the only way to succeed in mining. A bitcoin-mining ASIC chip is designed specifically to mine bitcoins. It can’t do any other task apart from mining bitcoins. While this may be viewed as a downside for some, remember that mining is a hard job. You need all the resources you can use to find the next transaction block so you can add it to the blockchain and get rewarded bitcoins in the process. Professional miners find this hardware very powerful than other technologies used in the past. Also, it’s not as power hungry as other hardware out there. It will still consume plenty of power, however, so consider that if you’re worried about your electricity bills. In the next article, we’ll go into more detail on bitcoin mining, and you’ll see for yourself if this is something you want to get involved in.